The SAGEON® Micro 48V Series 50 amp rectifier is a switched-mode module designed to provide up to 50A of output current into a 48VDC nominal system. This rectifier is available in 6A, 12.5A, 25A, 34A and 50A models and has been designed to be used in conjunction with a battery to provide an uninterruptable DC power system. 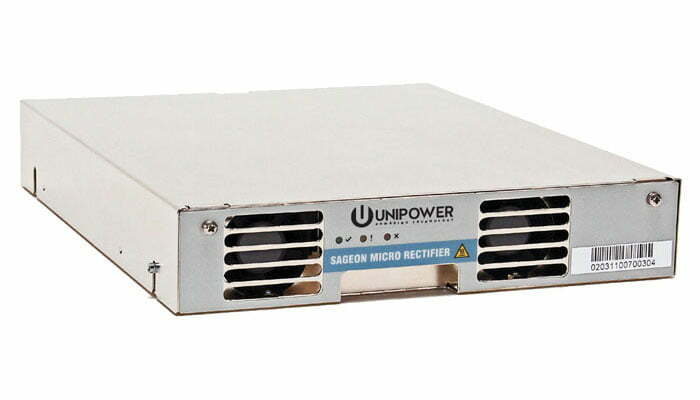 The low noise and high reliability mean that the Sageon Micro 50 amp rectifier is ideally suited to telecommunications applications.